I am proud to say all my books average 5-star Reviews on Amazon. Click the titles for additional details on each book. This is my SECOND book of self-illustrated funny poems, 5 years in the making and finally published November 2018. 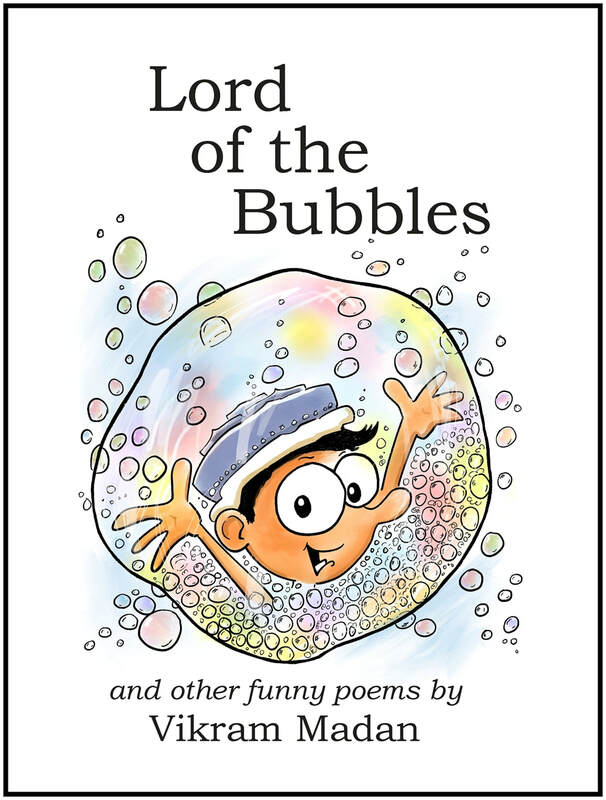 If you enjoyed 'The Bubble Collector' you will definitely love this book, which uses the same magic formula of blending humorous poems and wacky drawings into a unique funny experience for all ages. If you haven't read the award-winning 'The Bubble Collector' yet, I invite you to read the 5-star reader reviews on Amazon and get yourself a copy of one or both of these funny books! Nominated for the 2014 Washington State Book Awards!!! A hilarious fusion of original funny poems, bubbly drawings, tongue-in-cheek humor and unexpected endings that will delight families, kids, adults and poetry lovers of all ages! Winner of a 2013 Moonbeam Children's Book Award for Poetry! People always ask what the stories behind some of my paintings are. Now this book will guide you! 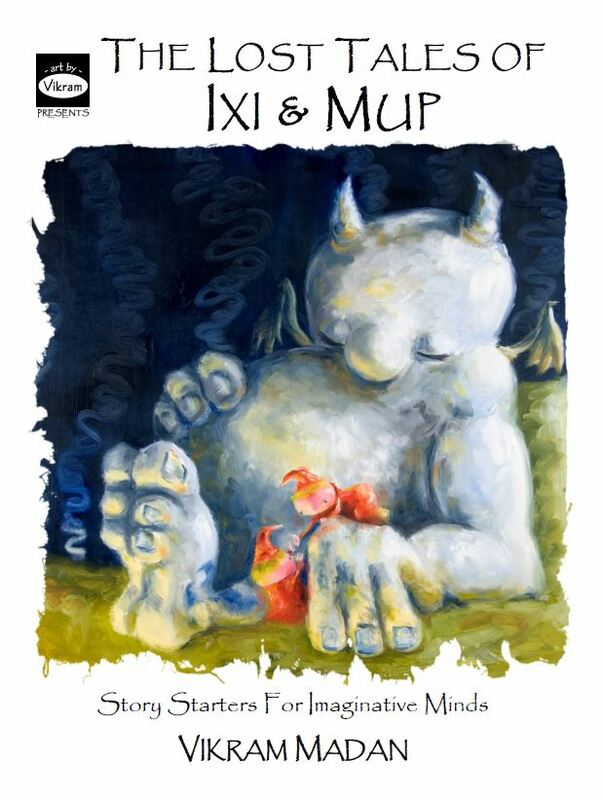 This book brings together a series of paintings, featuring two recurring characters, 'mythical explorers Ixi & Mup'. Each image is accompanied by a caption that invites readers to build a story using the images and text. A great seed for creative writing, art discussion, and story-telling, this content has been extensively tested in real world classrooms. This is what happens when you have too many robots on the brain: a 3-in-1 Art Book, Sketch Book and Coloring Book filled with imaginative, intriguing, humorous, weird, tender or simply unfathomable robot-vignettes that are sure to delight anyone who loves humor, art, and Robots. Suitable for ALL AGES. This hefty book clocks in at half-a-pound, contains over 80 drawings, and has 178 pages for you to look at, color, or draw in. A Rupture of Robots, Sketchbook Volume Two, is themed on Lil' Grim Reapers - dancing, cavorting, bumbling through a variety of cute, inspired, or unfathomable vignettes that are, at the end of the day, about our own humanity. A great gift for people who like 67%-dark humor or cute grim reapers. 5-in-1: Art Book, Coffee Table Book, Coloring Book, Sketchbook, Flipbook. Happiness Is... A Cup of Coffee! Ever wanted your coffee with a sea monster, an alien invasion or the zombie apocalypse? Well now you can! This art-show-in-a-coffee-table-book brings together 43 paintings from my ultra popular Happy Coffee series in a 52-page full-color book that's fun to look at, delightful to gift to others, and guaranteed to make you happy and also last longer than most cups of coffee. Unless otherwise noted, all images and text on this website are copyright Vikram Madan. Please do not reproduce without permission.